The Lake Champlain Pond Hockey Classic is returning for the winter of 2018. Located on Malletts Bay in Colchester, VT, the LCPHC provides its participants with an unparalleled tournament experience. 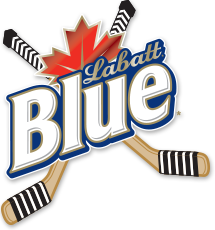 Presented by Labatt Blue, this event is specifically tailored for the participants. When the day's competition is over, participants head to Church Street in downtown Burlington to take in the nightlife and reminisce about the day on the "Pond." Don't miss out on this unique pond hockey experience, register your team today!